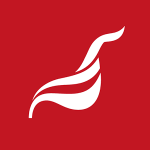 January 12th: Regional Secretary of Unite, Jimmy Kelly, welcomed the publication of guidance by a working group established by the Offices of the First Minister and deputy First Minister which included trade union representatives, employers and ex-prisoner representatives. “This voluntary guidance represents an important step forward in the reintegration of ex-prisoners with conflict-related offences. “It is estimated that 30,000 people have spent time in prison in Northern Ireland as a result of the conflict. The Good Friday Agreement committed all parties to the reintegration of prisoners into the community and this guidance will ensure that ex-prisoners seeking employment are not unduly disadvantaged as a result of their convictions. “The guidance stipulates that conflict-related convictions will be considered only after the selection process; and only where it was materially relevant and manifestly incompatible with the post would the appointment not be immediately offered. “The working group found systemic, structural and attitudinal barriers facing those holding conflict-related convictions in accessing employment in the public and private sectors; and in accessing goods, facilities and services more generally. Indeed, this Thursday we will be negotiating with AXA insurance to ensure that the cover we offer our members does not discriminate against political ex-prisoners”, Mr Kelly concluded. This entry was posted in Northern Ireland news, Press Releases, Unite Equalities and tagged Conflict Resolution, equality, Jimmy Kelly, Northern Ireland, OFMDFM, Peace-Building. Bookmark the permalink.